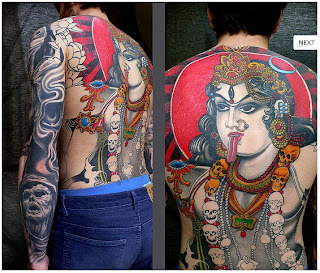 Tattoo Blog » Meet Kore Flatmo! 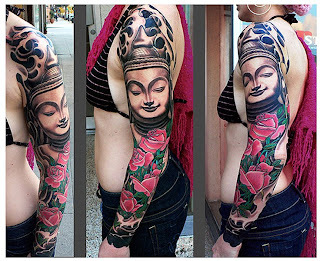 Tattoo Blog » Inspired » Meet Kore Flatmo! Writing for Tattoo Blog, I’m constantly seeking out different tattoo artists to do a little profile on and also, I’m looking for tattoo artists that will blow me away with their skills. What I’ve learned along the way is that wow, there really are sooo many rad tattoo artists out there doing their thing, getting little to no exposure along the way. Possibly the best thing about finding these tattoo artists is that feeling I get when I discover someone that I didn’t know about – that feeling that I get when I see someone’s art and it just blows me away. That’s a really amazing feeling and the fact that I can regularly experience it is just a huge testament to all the talented artists out there currently owning the tattoo world. So yeah, once again I was rocked by someone’s art while looking for a tattoo artist to profile and that someone is Kore Flatmo. A native of Los Angeles, California, Kore has been tattooing for 18 years. In 1999, he opened up PluraBella Tattoo Studio in Cincinnati, Ohio. Along with his wife, Brenda, Kore has been running a top notch tattoo studio, thanks in no small part to his pure talent. Rich in detail, smooth, clean lines and chalked full of the sort of realism that only a artist who is well in control of his craft can provide, Kore’s work is an inspiration to tattoo artists and the tattooed alike. Go through his online portfolio and randomly click on a tattoo and I assure you that not one of them will be anything less than superb. In his bio on PluraBella’s website, Kore writes that he hopes he’s tattooing for 30 more years yet. Well Kore, you’re not the only one. Keep it up, man and thanks for being such a great example of what a real tattoo artist’s work looks like.